DC Comics is currently publishing Walmart exclusive 100-page "Giant" comic books where a Superman story by writer Tom King has caused quite the controversy. 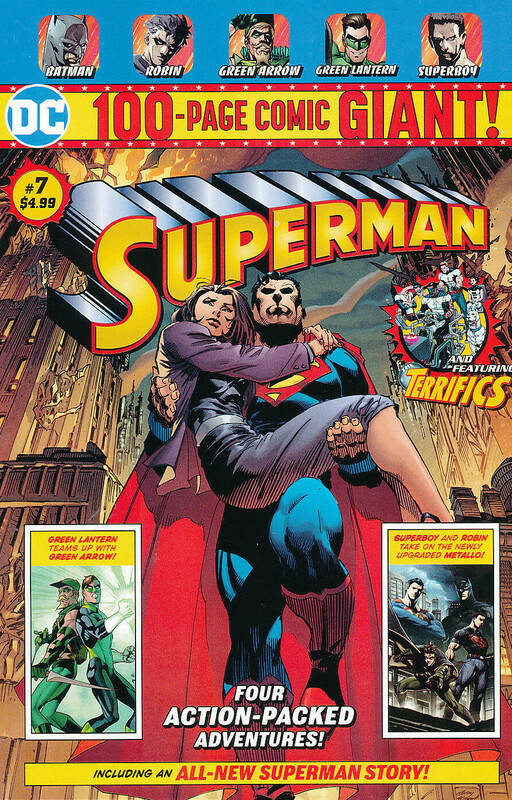 I haven't read the comic myself, but the story deals with Superman not being able to contact Lois Lane, so he panics and thinks of the unimaginable, of Lois Lane getting murdered in numerous ways, which is depicted over the 12-page spread. Sure, while it is normal for anyone to think bad thoughts, does it have to be shown in a Superman comic book? It seems pretty obvious the Walmart comics are aimed at kids and families - mom's and their children who shop there - so to have graphic depictions of Lois Lane getting killed over and over is in really, really bad taste. The Superman Homepage has a pic posted from the story which shows one of the ways Superman thinks of Lois Lane getting murdered: Lois on her knees with her hands tied behind her back getting a bullet to the head with blood flowing out. "I’ve been buying the Walmart Superman books and sharing them with my 10-year-old son each month. It’s been fun until now. I won’t share #7 with him because a 12 page Lois Lane snuff comic isn’t something I want him to experience," one parent said. "I thought this was a family-friendly line," another reader wrote. Writer Tom King has defended the story in a statement to CBR, which is pretty lame, IMO. King and his editor probably should have come up with a better Superman story. Perhaps not showing the graphic depictions of Lois getting killed, but still showing Superman worried and how he dealt with it would have been a better way to go. Superman is about hope, not a cheap attempt at "thrills." ← PREVIOUS ARTICLEMichael B Jordan As Superman? Green Lantern John Stewart?